Courtesy of a TED lecture given by Daniel Kahneman in March 2010, available online at www.ted.com/talks/daniel_kahneman_the_riddle_of_experience, I now know a bit more about the distinction he makes between our experiencing selves and our remembering selves (see this blog, October 9th 2013). 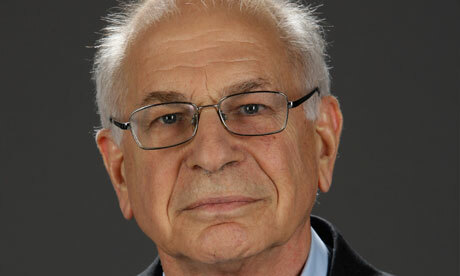 According to Kahneman, most of us have within us an experiencing self, who lives in the present, and a remembering self, who is responsible for maintaining the on-going story of our lives. It’s important, he argues, to bear these two selves in mind if we want to have a meaningful discussion about the notion of happiness. In the stories that our remembering self relates about our lives, the endings are of crucial importance. To elaborate on the example of the holiday mentioned in my previous blog, if we’ve had a really enjoyable vacation, one that was truly appreciated by our experiencing selves, but then on the last day we’re mugged or involved in a serious accident, then our memory is not going to tell a happy story about that holiday, even though at the time we enjoyed about 99% of it. Similarly, the duration of an experience is not something that our remembering selves takes much account of. Psychologists, Kahneman says, tell us that the psychological present lasts for about three seconds, so most of us in our lives will enjoy around 600 million present experiences. But when these are over they will be lost for ever – we’re not going to be able to relive them because this is not the story that our remembering selves is keeping for us. So if we do have a happy holiday, say, on the Amalfi coast, with no disasters to cloud its final days, then it makes no difference whether we were staying there for one week or two – if both weeks were equally good we’re not going to create a cumulative and enhanced story about the happiness we enjoyed while we were on holiday there. We had a happy holiday, full stop. This for me throws light on the happiness questions posed in the UK’s Integrated Household Survey. ‘Overall, how happy did you feel yesterday?’ is, I assume, a question that is being put to our experiencing selves, while ‘Overall, how satisfied are you with your life nowadays?’ is more a question for our remembering selves, the bit of us that stands back and looks at the story of our lives so far. Kahneman says that the correlation between the two perspectives is often very low: we may for example have had a miserable time yesterday, but can still have a sense that our lives are moving in a worthwhile direction and providing us with overall happiness. The distinction also throws light on an ancient Greek injunction, ‘Call no man happy till he is dead,’ a translation of two slightly different pronouncements found in Aeschylus’ Agamemnon and Sophocles’ Oedipus Rex.There’s been a lot of debate about what this means, but the significance attributed to the remembering self in Kahneman’s analysis suggests to me that the most convincing interpretation is not that we would all be better off dead, but rather that until we know what has happened in the last stage of somebody’s life, we – or the part of ourselves that values memory – cannot possibly tell whether it was a happy life or not. So aim for a good ending might be the moral of this account of happiness. Although, since we cannot possibly know when this is going to occur, it might be sensible to do a little to please our experiencing selves along the way.